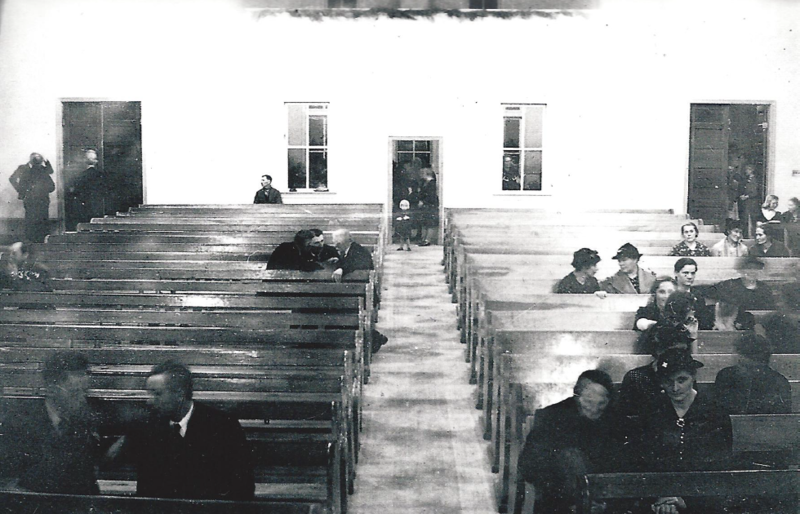 The first Mennonite Brethren Church in Alberta was established in Coaldale. In 1929, they constructed a church on land which had been part of a sugar beet farm. Almost immediately the congregation outgrew the 32×52 foot building, and an addition was built. A second addition was added in 1932, but by 1939, it was clear that the congregation had grown too large. With the exception of the 1932 addition, the church was torn down. Volunteers from the congregation built a new church on the same site in just three and a half months. The building featured a large main sanctuary, separate men’s and women’s foyers, two choir rooms, fourteen Sunday School rooms and a kitchen downstairs, and a balcony upstairs. 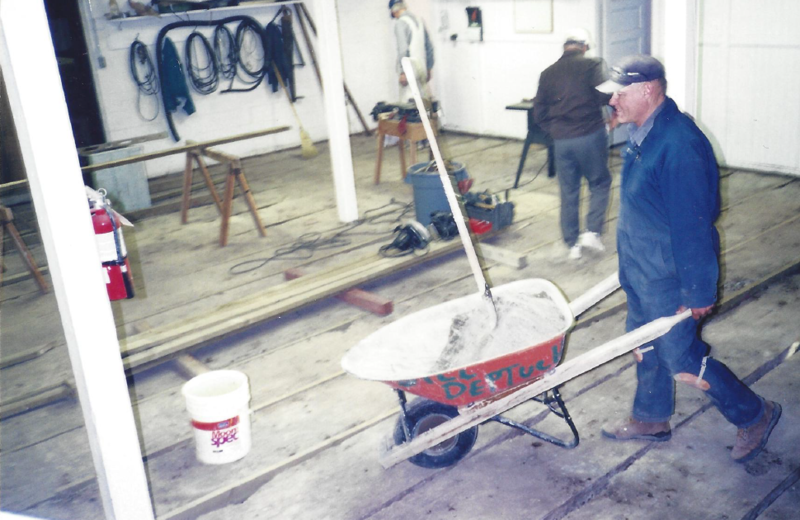 In 1971, the Mennonite Brethren Church built a new building further into town, and sold the present building to a local company, L&D Masonry, for a factory. This necessitated the removal of a large portion of the sanctuary floor to accommodate the factory equipment. The building served as a factory for a few years. In 1995, a group of residents, led by Erna Goertzen, approached the Town of Coaldale and suggested the Town purchase the building, which at the time was unused and in poor shape. They wanted to preserve the historic structure and establish a museum which would serve the community by collecting and displaying its history. This dedicated group became the Gem of the West Museum Society, formed to carry out the building restoration and oversee the new museum, taking its name from the historic slogan for the Town of Coaldale, “The Gem of the West”. Erna became the Society’s first President. They embarked on what would become an ambitious, ten-year renovation project to restore the former church. The 1932 addition from the original building became a working blacksmith shop for the museum. The building was declared an Registered Historic Resource in May 1999, and the museum officially opened its doors in 2001. Today, in addition to the museum, the building also serves as a venue for public programs and events, private rental events and functions, and as an office for the Town of Coaldale Community Services Department. The Gem of the West Museum is one of the largest rural museums in Southern Alberta. It showcases over 15 unique exhibits in 15,000sq.ft., and includes an art gallery and a working blacksmith shop on site.